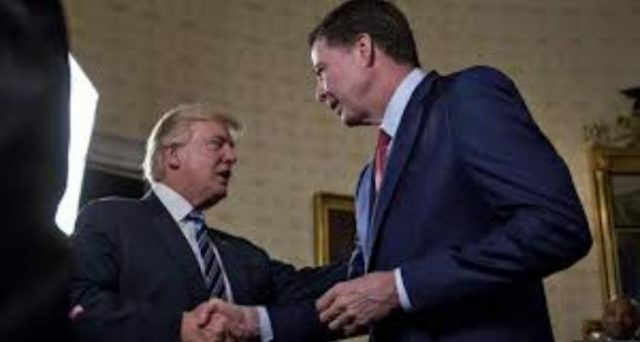 Former FBI director James Comey said in an ABC News interview on Sunday that US President Donald Trump is a dangerous, “morally unfit” leader doing “tremendous damage” to institutional norms. Comey, fired by Trump in May last year, was worried the president may be open to blackmail by Russia given claims he was present when prostitutes urinated on each other during a 2013 Moscow visit. Comey’s firing came as the Federal Bureau of Investigation was probing possible connections between Trump’s 2016 presidential campaign and Russia’s meddling in the American elections. Comey said in the exclusive interview with ABC News’ George Stephanopoulos, which aired at 10pm on Sunday, that it is “possible, but I don’t know” whether Russia has evidence to back up the allegations about Trump’s Moscow trip. “A person … who talks about and treats women like they’re pieces of meat, who lies constantly about matters big and small and insists the American people believe it, that person’s not fit to be president of the United States, on moral grounds. And that’s not a policy statement,” Comey said. “He is morally unfit to be president,” he added. Comey has a tell-all book, “Higher Loyalty,” due out on Tuesday. The book’s imminent release — and the slated ABC News interview — prompted Trump to hurl a new set of insults at Comey earlier on Sunday, challenging accusations made in the book, and insisting that he never pressed Comey to be loyal to him. “Slippery James Comey, a man who always ends up badly and out of whack (he is not smart! ), will go down as the WORST FBI Director in history, by far!” Trump wrote early on Sunday in one of five Twitter posts aimed directly at Comey. Reuters and other news outlets have obtained copies of Comey’s book before its formal release. In it, Comey wrote that Trump, in a private meeting, pressed the then-FBI director for his loyalty. Comey told ABC News that the title of the book came from a “bizarre conversation” he had with Trump at the White House in January 2017 shortly after his inauguration. “He asked for my loyalty personally as the F.B.I. director. My loyalty’s supposed to be to the American people and to the institution,” Comey said in the interview. The FBI has long tried to operate as an independent law enforcement agency. “I never asked Comey for Personal Loyalty. I hardly even knew this guy. Just another of his many lies. His “memos” are self-serving and FAKE!” Trump said on Twitter. US House of Representatives Speaker Paul Ryan, interviewed on NBC’s “Meet the Press,” expressed qualified support for Comey. Asked whether Comey was a man of integrity, the Republican speaker said: “As far as I know,” but added that he did not know him well.